Individuals store more and more valuable information in their iPads. This is not limited to their photos, voice recordings, phone numbers files, memos, and videos among others. Since these electronic devices are manmade, losing such crucial data is very common. They are unexpectedly subjected to fail and can easily get lost. When you get yourself in these kinds of situations, you don't need to worry. With the advancement in technology, iPad video recovery software has been developed to cater for your needs. We are going to present copious details regarding the top 6 best iPad deleted video recovery apps. By the end of this article, you will understand each one of them in details. This is a trustworthy and smart iPad video recovery application that allows you to recover your videos and other attachments on your iPad and other iDevices. 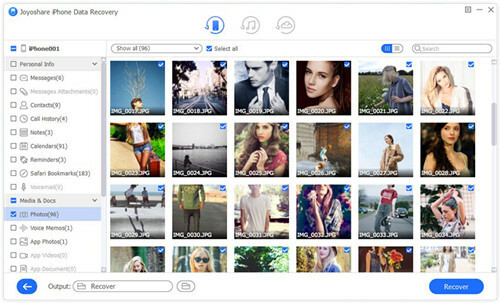 Regardless of the circumstances that led to the loss of your videos, Joyoshare iPhone Data Recovery enables you to retrieve them easily. 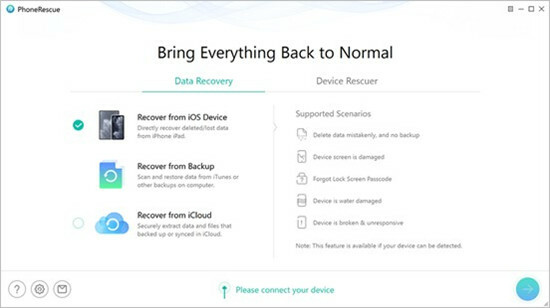 With 3 smart recovery modes, it allows you to easily retrieve lost data from the iPad or iTunes/iCloud backups regardless of the situations that led to its loss. Its recovery is flexible, 100% safe, highest recovery rate and above all fast recovery speed that allows you to recover your lost videos within a few minutes. Besides, Joyoshare iPad video recovery program has a diverse range of compatibility with the updated iDevices models and iOS 12 that makes it have a better performance. And users can obtain a free lifetime upgrade just after buying the software. This iPad video recovery app software allows you to be covered when you lose your iPad videos and other data as a result of theft, water damage, deletion or broken. 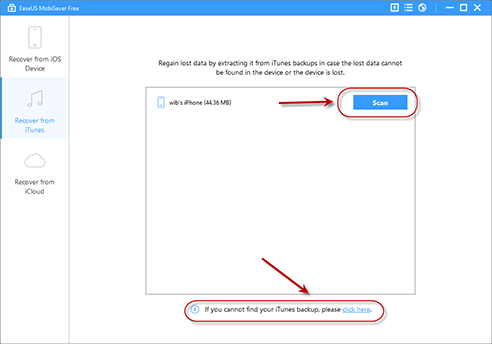 It is able to restore data from iCloud backup, iTunes backup and from iOS devices without difficulties. Likewise, Dr. fone iOS Data Recovery is also fully compatible with almost all iOS devices as well as updated versions of iOS 12. Additionally, it has a simple interface, which makes it convenient to operate and easy to retrieve data. It is an incredible iPad video recovery app that cannot frustrate when you happen to have lost your crucial data from your devices. iMobie PhoneRescue is able to retrieve up to fourteen types of iPad data including videos at a faster rate hence making it convenient. Plus, it is able to support updated versions of iOS 12 and iPhone XS, and is readily available for Mac devices and Windows that is recognized globally. It is among the best iPad data recovery applications that are able to assist you to retrieve your lost data directly from iOS devices or from iTunes and iPads backups. It has the capacity to retrieve up to twelve different types of data from iTunes and iPads. This is not limited to camera roll, contacts, photo stream, videos, message attachments, voice memos among others. It usually comes with unique features that enable the user to search for videos by the file name of a format. 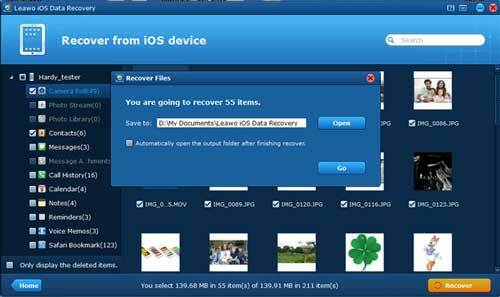 This iPad video recovery application allows data recovery from iCloud backup, iTunes backup, or iPads directly. 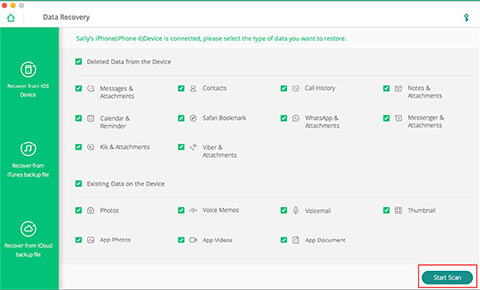 It has the capacity of retrieving up to 16 kinds of data from iOS devices including photos, app messages, memos, contacts, and many others. 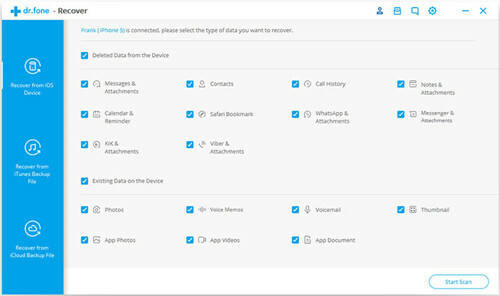 Moreover, iSkysoft iPhone Data Recovery contains preview options that are able to identify data with file structure and name of the format to assist the user to select the data you want to retrieve and the one you intend to leave. This is a free iPad video recovery software that is user-friendly and enables you to retrieve all your lost data within a very short period of time. It has the ability to restore different types of frequent data like videos, music, contacts, photos, messages, reminders, phone history, etc. Whether your videos are lost due to system formatted, jailbreak and upgrade failure, etc. EaseUs MobiSaver will help you retrieve them in 3 easy steps: launch the program, scan the lost data and recover it. In conclusion, it is always important to note that as you hunt for the best iPad video recovery application, you need to do an in-depth analysis and research of each program before you purchase them. Ensure you go for the one that suits your needs. Look at their features and functionalities before making a well-informed decision. You can take the above-mentioned apps into consideration and if you want to accomplish your goals with a higher successful rate, Joyoshare iPhone Data Recovery will be a nice choice. You will have an experience of its kind.